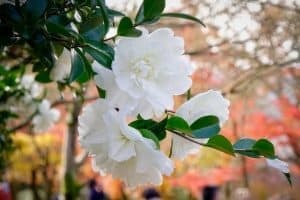 There’s a good reason you’ve probably heard of the camellia flower. While native to Asia, the Camellia japonica hails as Alabama’s state flower and is praised for its large, vibrant blossoms. 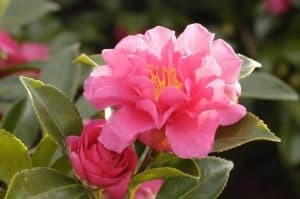 In general, camellias thrive in partial shade and well-drained soil. They can grow into a small tree or large shrub reaching as high as 66 feet. The most popular type of camellias we use belong to the sasanqua genus known for its thick leaves and serrated edges. Their scented blooms range in color from rose to deep red. 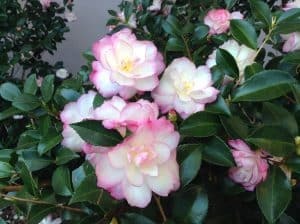 Read more below about the three cultivars of Camellia sasanqua most often seen in Blackjack landscapes.